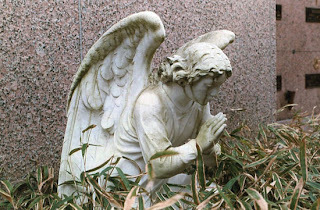 Tonight I wanted to present some cemetery/funerals related links I've had sitting around in my bookmarks folder. Somehow I feel like it's disrespectful to include them in regular "New links" type posts, so I set them aside for later when they can be shown with related sites. "An association dedicated to the academic promotion of the historical importance of cemeteries, grave markers, and the family history to be learned from a study of burial customs, burying grounds, and tombstones; and the social promotion of the study of cemeteries, the preservation of cemeteries, and the transcription of genealogical/historical information written in cemeteries." The online journal provides fascinating weekly articles on the topic. This resource offers info on upcoming exhibitions in Europe, photos and overviews of various European cemeteries, research articles and news of interest to cemetery professionals and historians. They also offer info on the European Cemeteries Route. Lauren Rhoads' adventures in graveyards around the world. Rhoads used to edit Morbid Curiosity. There's a Cemeteries of the Week section which comprises the bulk of the site. You'll learn a lot from this website! This is a serious professional radio network for cemetery and funeral professionals. Recent podcast topics include perceived risks of green burials; alternative preservation methods; Holy Land ash scattering; and an interview with the founder of eFuneral.com. 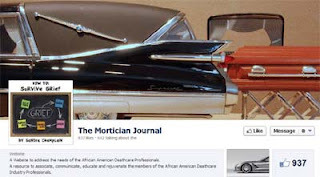 A resource for African-American morticians and funeral professionals. Not too active, but occasionally shares useful posts for members of the industry. This website and Facebook community were founded by Los Angeles-area mortician Caitlin Doughty. 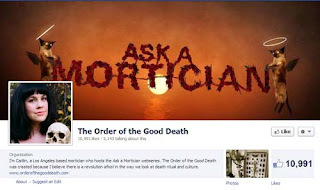 "The Order of the Good Death was founded in 2011 with the goal of bringing the realistic discussion of death back into popular culture." The website offers videos, essays, and a blog; the Facebook offers several daily posts of interest on the topic. Not to be missed! 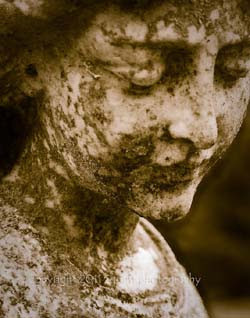 Dallas-based photographer Sonja Quintero sells her surreal cemetery photos here in her Etsy shop. The images (mainly angels) are printed professionally on archival matte paper, and signed on the back by the photographer. You might also enjoy Dainty Squid's cemetery photographs, taken with Fuji and Canon film cameras. Washelli Cemetery Photography is a series of beautiful photographs taken by Seattle photographer Adrasteia. 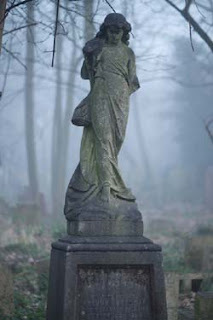 And don't miss Winter Dawn at Bow Cemetery, a series of images from Spitalfields Life. Thanks for the feature, Carrie! Thanks for your kind words about Cemetery Travel. Glad you like it! Interesting article. I am a Humanist celebrant and specialise in Goth funerals, so this was a good find.